Quality finished homes INCLUSIVE of Car Garage with Perimeter FENCE and Decorative Steel GATES, LANDSCAPING and Pocket Gardens are NOW AVAILABLE at a Very Affordable Cost and Scheme. A totally unique concept in housing development. Simply bring in your appliances and household things when moving-in to your new home! A concept that we adopted at the Pasig Millennium Gardens in Maybunga, Pasig, and Antipolo Brittany Executive Homes in Antipolo City. This same concept is what our homeowners at the Mary Cris Executive Homes is expected to enjoy. The designs and lay-out of all the four house models at the Mary Cris Executive Homes are well-planned. Construction materials being used are of highest standards to ensure that you'll enjoy the best value for your money and will be proud of your new home. Regular Unit: Lot Area: 72.00 sq.m. 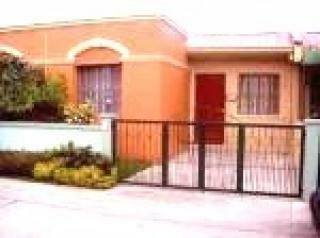 Floor Area: 66.00 sq.m. Regular Unit:	Lot Area: 80.00 sq.m. Floor Area: 72.50 sq.m. Regular Unit:	Lot Area: 50.00 sq.m. Floor Area: 85.75 sq.m. iMPROVED aREA - 103 sqm. FREE ! AIRCON UNIT, as promo!